National Pet ID Week kicks off Sunday, April 17. In the pet world, identification is so important it has its own national holiday, which aims to bring attention to all lost pets each year. It never hurts to remind pet owners that pet identification is a crucial step they must take in order to keep their furry family members safe. Even the most well-behaved dogs (and cats) can get lost, run off unexpectedly for myriad reasons or get separated from their humans. 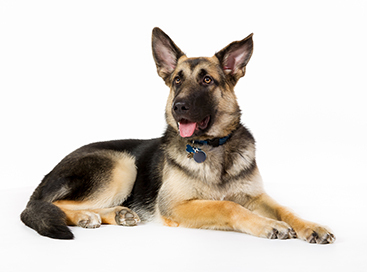 The best way to safeguard a pet’s return is to provide him or her with identification—more than one form of ID increases the chances of reconnecting quicker. 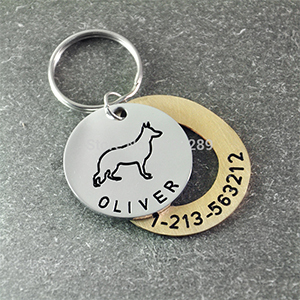 According to the American Society for the Prevention of Cruelty to Animals (ASPCA), 80 percent of pet owners realize the importance of ID tags, but just 33 percent say their pet always wears one. According to the National Council on Pet Population Study and Policy, fewer than 2 percent of lost cats and only 15 to 20 percent of lost dogs are ever returned to their owners. Just because a pet lives inside is also no guarantee of its safety. Linda Lord, DVM, at Ohio State University, reports that 40 percent of lost cats in one community were indoor-only and only 19 percent of cats reported lost had any sort of identification. To better the odds of being reunited with their owners, pets should be microchipped and wear identification collars with easy-to-read contact information, said Dr. Emily Weiss, a certified-applied animal behaviorist and vice president of shelter research and development for the ASPCA. The tag should include the cell phone number of the owner and an emergency contact number, as well as a land line number if available and, possibly, a home address (or at least the city and zip), Weiss added. Microchips, the ID that lasts the life of the pet, are excellent permanent forms of identification, but a chip coupled with an ID tag will return a pet home most quickly—your neighbors don’t have microchip scanners in their back pockets. 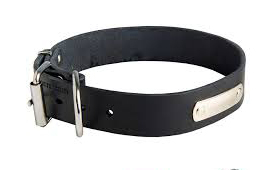 The microchip is great backup if the pet’s collar becomes lost. According to another study from Ohio State University, microchipped cats were 20 times more likely and microchipped dogs were 2½ times more likely to be returned to their owners, when compared to the general population of stray cats and dogs that had entered the shelters surveyed in the study. Research shows and common sense says that pet ID tags play an important role in bringing pets home. Just as we carry identification in our wallets to help us navigate our human lives, our pets deserve the same safeguard. Check the status of your pet’s identification today. Is the information on the collar and at the microchip registry current? Is the engraving worn off the ID tag? Make it a point to sort it all out now to avoid heartache later! If you find the clinking of multiple tags (ID, rabies, license) abrasive to your ears, they can be quieted in numerous simple ways.